So many of us are time-poor but still passionate cooks striving for delicious and healthy meals crafted from scratch. But now, the cooking institution of the Australian Women’s Weekly have found the solution with 5 Ingredients. This innovative cookbook features a pared back, practical approach to fast, streamlined cooking, with each recipe using only five ingredients (as well as a few pantry staples). With fewer ingredients, there’s nowhere for average to hide – use the best you can get and allow their quality flavours to shine through. After all, less really is more. 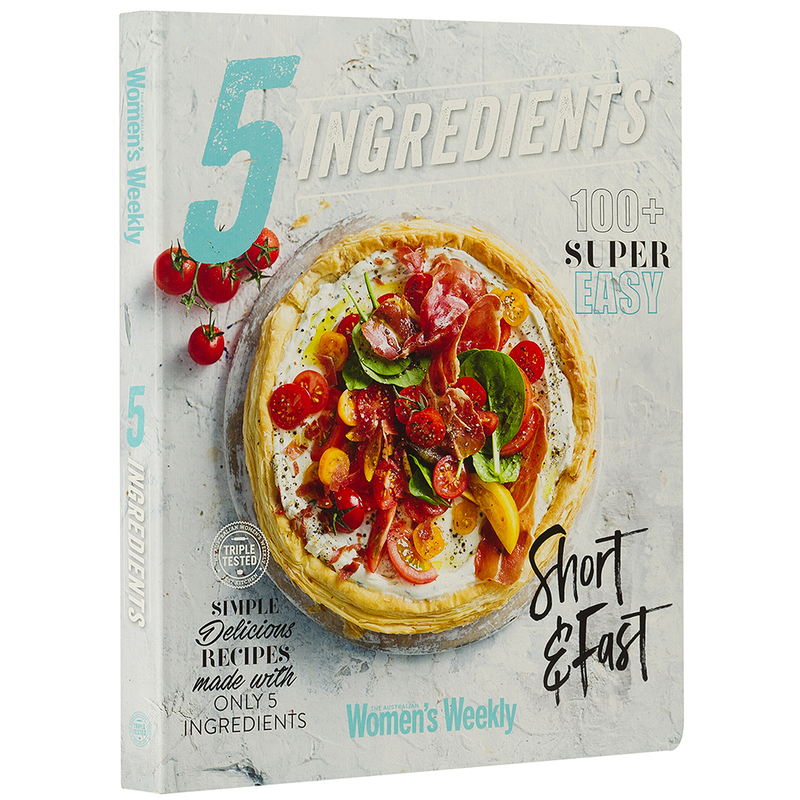 Filled with over one hundred recipes taken from the Australian Women’s Weekly. Simple and delicious recipes using only five ingredients. Recipes are divided into chapters – Mornings, Light Meals, Dinner and Sweets. Begins with a small chapter outlining the minimalist approach to cooking. Additional chapter dedicated to fridge and pantry staples. Includes a glossary and conversion chart. Dimensions: 23.5cm (l) x 29cm (h) x 2.5cm (w).